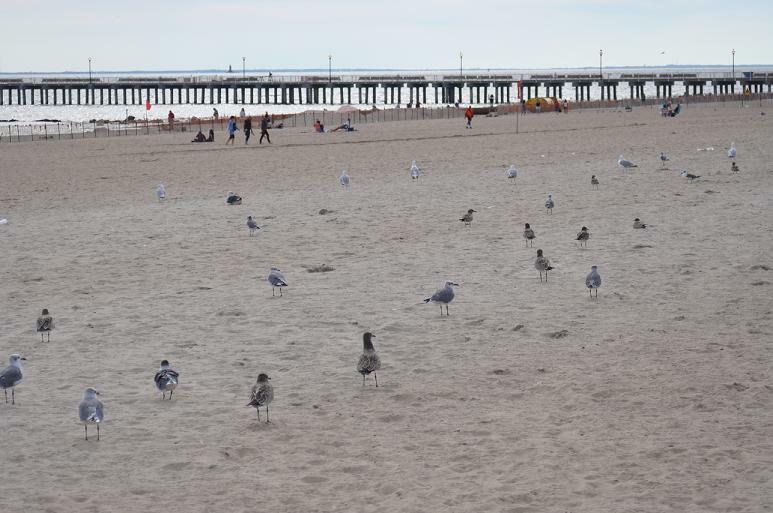 Almost everyone who comes to Coney Island is a tourist, and honestly that’s part of the fun! How often do we get to be tourists in our own city, staring up at the skyline or out into the water and enjoying even for a few hours a getaway from the madness of city life? At Coney Island, you get to do that and be a kid again, hot dogs, funnel cake, and all. goes unacknowledged far too often. Sea salt whips into your hair with the cool, brisk autumn breeze and kisses coolly down your back. 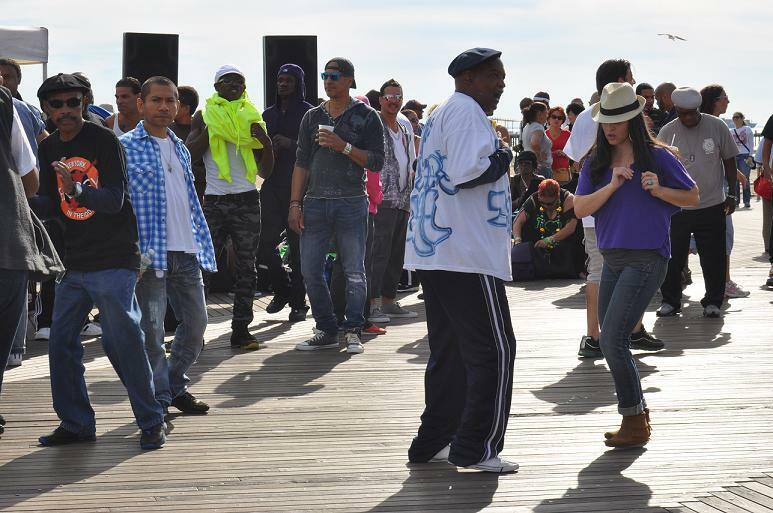 Such was the experience of being on Brooklyn’s famed Coney Island this past weekend with my friend Shannon. Shannon had never been before, so I took it upon myself to introduce her to the glorious grunge of the seaside neighborhood. Coney Island has actually been a popular leisure and staycation destination since the mid-1800s, though after World War II it became rundown and crime-ridden. It has since been revived, though, and is now a day-long getaway for many a New Yorker. 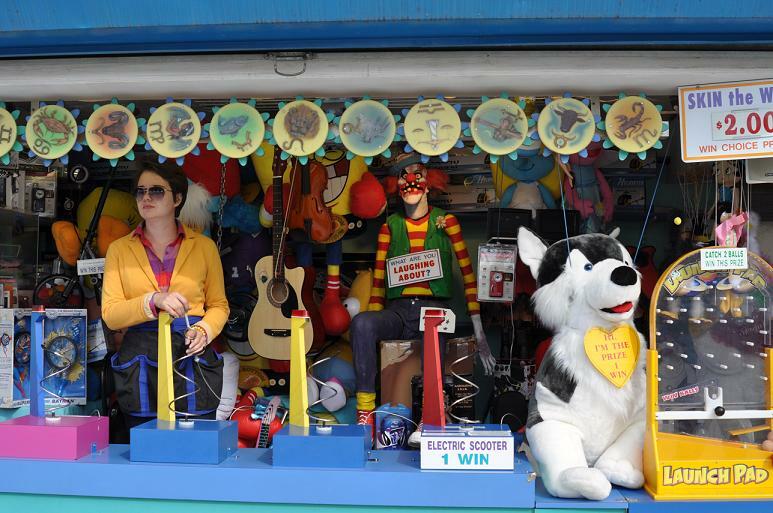 Between the famous Nathan’s hot dogs, the Riegelmann Boardwalk, the Coney Island Side Show, and innumerable rides and amusements, it’s a fun dose of classic Americana. We sauntered past the carnival games and amusement park rides, some sparkling clean, others not so much. Shannon popped a quarter into a machine that said the female mannequin inside, attired in clothing about 20 years old, would fall in love with her—upon receipt of the quarter, the mannequin and her little cat began dancing and singing. Who said fun had to cost tons of money? 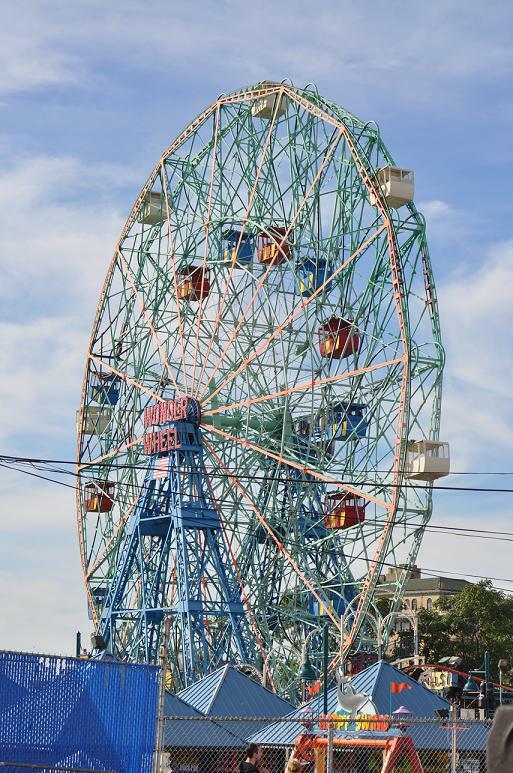 But part of what makes Coney Island so great is the contrast between the new and the old, being able to feel the history of what’s been around for a while versus what’s shiny and fresh. For example, the towering blue and pink Wonder Wheel opened in 1920 and the new Luna Park rides opened in 2010. They’re right next to each other, but they give such a different perspective of where Coney Island’s been and where it’s going. Last but certainly not least, what on Earth is a trip to Coney Island without a visit to Nathan’s? Nathan’s Famous Hot Dogs was opened in this very Coney Island location in 1916 by Nathan Handwerker, a Polish immigrant. Since then, it’s become the stuff of legends. Wait in line, get your dog (a corn dog is usually my preference, truth be told), maybe a lemonade and some crinkle-cut fries, and you’re in paradise, Brooklyn-style.